Children use the booklet to identify the needs of living things. Provide the children with their own copy for them to circle what the living thing needs, finish the sentence and draw a picture. 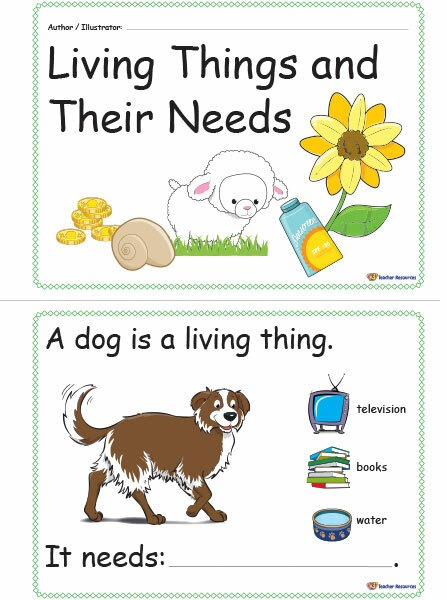 Use the booklet to encourage children to identify the needs of different living things. What would come next? – Ask the children to use the last page to draw a picture of themselves and complete the sentence to identify what they need as a living thing.